Triathlon season will be here before you know it—now is the time to prepare. Proper training and planning will make the swim, bike, run feat easier, safer, and more enjoyable. Whether you are an experienced triathlete or tackling your first race, building a strong foundation is essential for success. Asphalt Green Triathlon Club Coach Mike Galvan shares five ways you can prepare now to set yourself up for your best finish yet. Spend time reflecting on your previous triathlon season, and give yourself a grade. Ask the following questions: How did you do? What worked in last season’s training and what did not? Where can you improve the most? What are your goals for this year? From there, you can determine how to get to the next level. If you are a beginner, write down why you want to a complete a triathlon. The reminder will get you through tough training days during the season. Need extra motivation to get back into the swing of training? Joining a club will give you a boost. Feeding off the energy of others makes training fun and makes you stronger. Plus, you can learn from the collective knowledge of members and coaches. 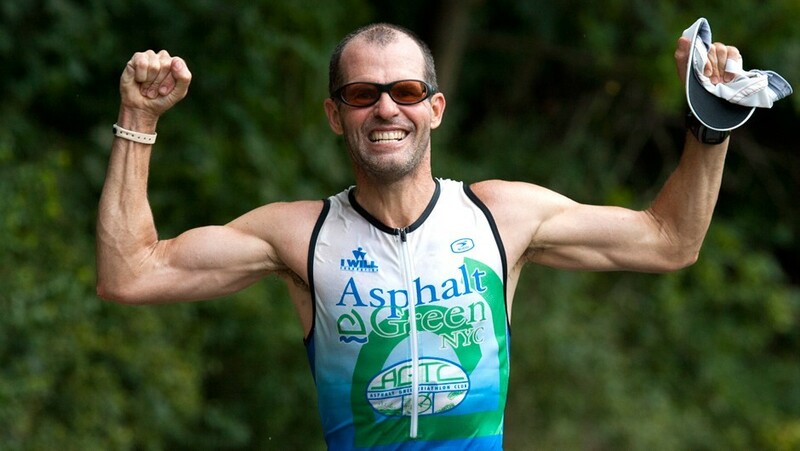 It’s the first step many take to reach the next level—the Asphalt Green Triathlon Club offers daily coached workouts for its members. If you have your eye on a specific event, individual coaching is the fastest way to improve. If you are considering hiring a coach, the earlier you start working with one, the more you will benefit. Coaches can work with you one-on-one to develop a long-term training plan that fits with your schedule. Find a coach here. Most of your preseason training can be done at a gym. Establishing a strong fitness foundation will prevent injury and make training a more enjoyable experience. Spin classes (included with club membership), swim lessons, and running on a treadmill build an aerobic base. Create a balanced routine by complementing cardiovascular activities with yoga, stretching, and strength training using light to moderate weights. Begin slowly, and increase intensity as you get stronger. Keep your routine exciting by incorporating cross country skiing, hiking, and snowshoeing—all will make you a better triathlete. Most triathletes have a weaker discipline, which for many people is the swim. The offseason—November through February—is the perfect time to give your shortcoming some extra attention. Spend an additional two to three hours per week on your weakness, and then refocus on your strengths once racing season begins. A great place to start is by registering for one of Asphalt Green’s sport-specific clinics, which are held throughout the year. Pre-race jitters may not be avoidable, but a positive attitude and confidence in your abilities can lessen your nerves and go a long way in finding success. The focus of preseason training is to build a foundation for each of the three disciplines. This way, when racing season starts, you are mentally prepared and confident you will cross the finish line.